Each flower emerges from bud a deep, velvety red, but as they age, the colour lightens gradually to a rich rose. Therefore when in full bloom the overall effect is very pretty, displaying all the tonal variations of the flowers. 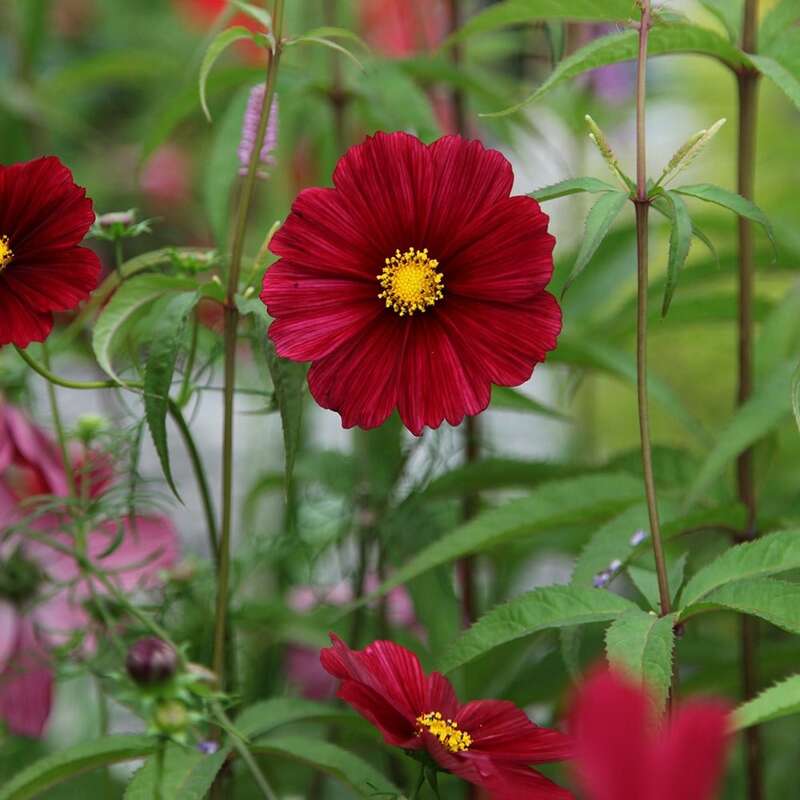 Easy and undemanding annuals that will flower right up until the first frosts if they are dead-headed regularly, their flowers can be added to the posies too. Lovely deep colour, and they went on flowering until the frost took them. Definitely recommend growing in big containers with good compost, regular feeding and plenty of water. Those I planted out in the garden did significantly less well. Put on a fabulous display for 3 months - possibly the most admired plants in my garden all summer. An attractive plant that grows easily and isn't too fussy about position. Also self seeds. Deadhead regularly for best results. 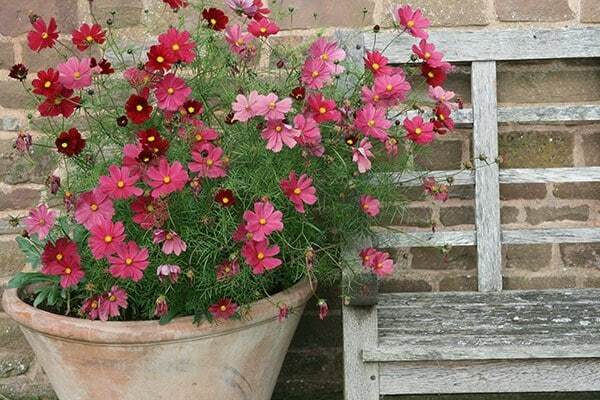 I bought these Cosmos for the first,time this summer and I was thrilled with them. I grew them in large stone throughout on the terrace and I had good colour from late May till late August when other salvias took over. will repeat them. A particularly delicate shade of dark pink/red.